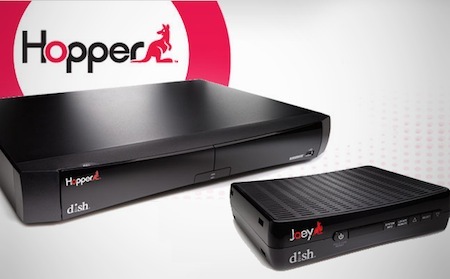 The Hopper is the fancy new DVR from Dish Networks that has one very interesting feature. After waiting a day, users can use special software built into the device to "auto-hop" commercials. So you can imagine why Dish Networks unveiling of the "Hopper" – a DVR device that would allow subscribers to "auto-hop" (skip) the commercials they record –was considered hard, cold rain on the parade. This is big, right? The ability to watch a show when you want to and without commercials, well that's like cake and ice cream with no calories. Not so fast there, cowgirl. Although the idea of skipping commercials spurs an interesting debate, in the end not so much is happening …yet. The networks are bent out of shape because free TV is built on the advertising model. That's where the money comes from to make and air the shows. Subscription services, like cable TV are another revenue model, but advertising plays a big part in that as well. The networks argue that if advertisers begin leaving TV, subscription prices will go up and less content will be made. Plus, they argue, it is a copyright infringement for Dish Network to allow the recording, saving and airing of content without the commercials. Dish Network dismisses the allegations out of hand arguing that if they make it easier, more TV will be watched and that's better for the networks. Further, they state, since the user is taping the program, they can choose to watch the commercials if they want and that makes it no different than fast-forwarding. The battle of words took a turn for the worse when Dish Network sued the networks. Dish Network is looking for a ruling on whether or not the device infringes on copyrights. Fox, CBS and NBCUniversal subsequently sued Dish Network alleging copyright infringement. Years before, he had invented a module that, when a television commercial appeared, automatically muted the sound. It wasn't at first a context-recognition device. Instead, it simply monitored the amplitude of the carrier wave... Before there could be any coordinated response from the television advertising industry, Adnix had become wildly popular. It forced advertisers and networks into new choices of carrier-wave strategy, each of which Hadden countered with a new invention... It was a kind of electronic warfare. And he was winning. Yes, the dream of freedom from commercial advertising is an old dream; don't give up the fight, Hopper! Via ABC News; thanks to Randall Glenn for the tip on and the reference for this story.